Well, that tradition continues. Not only are polo matches still held up at Will Rogers' ranch, but the Hollywood community continues to be involved in polo and other equestrian sports. The best place to watch stars on horseback today is the new Los Angeles Equestrian Center in Griffith Park. Star Trek's own 'Captain Kirk', William Shatner, has founded "The Hollywood Charity Horse Show," an annual event which usually takes place in late April or early May at the L.A. Equestrian Center. It features many celebrities (including Shatner) in an effort to raise money for handicapped children's charities such as "Futures For Children" and "Ahead with Horses". 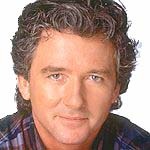 He founded the show along with actor Patrick Duffy ("Dallas," "Step By Step"), and been doing this every year since 1990. After the horse show, there is a Western dinner/dance/auction held for charity (tickets are $300) which features a celebrity performer - and Shatner, of course. This year, the horse show will be held on Saturday April 25, 2015. The musical guest will be Kevin Cronin the lead singer of REO Speedwagon. Previous performers at the dinner/auction have included Wynonna Judd, Joe Walsh, Sheryl Crow, Willie Nelson, Randy Travis, Lyle Lovett, and Brad Paisley. In 2009, the cast of the new "Star Trek" movie showed up at the dinner, including Chris Pine (the new 'Kirk'), Zachary Quinto (the new 'Spock'), and Leonard Nimoy (the original 'Spock)'. It was the first meeting of the two Kirks. In previous years, it has been billed at "Star Trek Goes Country," it features some of the original Star Trek cast members, and fans decked out in Star Trek costumes, in addition to the usual celebrity riders in team penning events, drill teams on horseback, trick riders, children's activities, a silent auction for TV and film collectibles, and a special party later with Western-style BBQ and live dance music. Some of the recent participants (besides William Shatner, who is always there in person) have included Terry Farrell ('Dax' on "Star Trek: Deep Space Nine" and 'Reggie' on "Becker"), singer/actor Lyle Lovett, Jeff Conaway ('Zack Allen' on "Babylon 5"), Lesley Ann Warren ("Victor/Victoria"), Clint Howard ("My Dog Skip"), Lance Henriksen ("Millennium""), Leslie Charleson ('Monica Quartermaine' on "General Hospital"), Christopher Atkins, Alex Cord, Robert Picardo (the holographic Doctor from "Star Trek: Voyager"), the cast of the daytime soap opera "Passions" and singer Rita Coolidge (who performed at the dinner party). The event includes a picnic, magic show, petting zoo, arts & crafts, Indian Dance Troupes, Olympic equestrian medallists, a cast of western actors and a herd of livestock! Plus a silent auction featuring celebrity memorabilia. 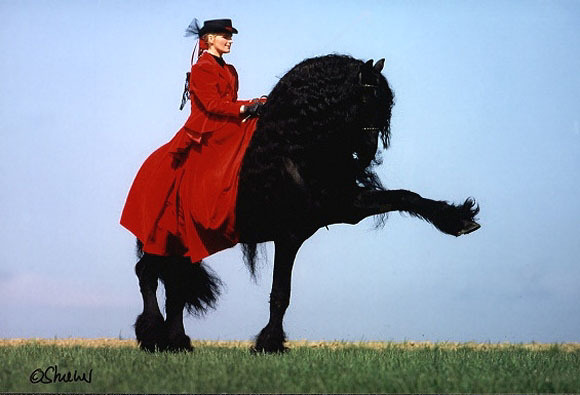 The 2001 show included performances by medieval Imperial Knights and the Friesian Magic Team. Not to mention some of the best western reining & trick riders in the country. Shatner has even auctioned himself off at the party for dances to raise more money for charity. Tickets are $20 general admission (kids under 12 are free), and $300 for the (separate admission) Western Dinner Party. Shatner says no administrative charges are deducted from the monies raised by the show. "Every penny goes to the children.."
For more information about the event, you can call (818) 840-9066 or go to www.horseshow.org. The Equestrian Center also hosts assorted rodeos and horse shows throughout the rest of the year, and its not uncommon for horse-loving celebs to take part. In 1997, the L.A. Equestrian Center hosted the Celebrity Horse Show fund-raiser. Celebs on hand included Rue McClanahan (of "The Golden Girls"), Jo Anne Worley (of "Laugh-In" fame), Peggy McCay ('Caroline Brady' on "Days of Our Lives"), and actress Kathleen Kinmont (the former Mrs. Lorenzo Lamas). The event included celebrity competitions, barrel racing, pole bending, and a silent auction (for a $5 ticket). Another celebrity polo event took place in March of 1995 at the Equestrian Center. The "Celebrity/Pro Polo Match" was hosted by actress Stephanie Powers (president of the William Holden Wildlife Foundation) and her "Hart to Hart" co-star, Robert Wagner. This fund-raiser, which included a celebrity parade and barbecue lunch, was held at noon on Sunday, March 5, with ticket prices ranging from $15 to $150. And in April of 1995, Jane Seymour ("Dr. Quinn, Medicine Woman") was the chairperson of a four-day event (also at the Equestrian Center) called the "Festival of the Horse and World Cup Dressage Finals." Other celebrities on hand included Patrick Duffy ("Step By Step"), Eric Roberts ("Star 80"), and Marlee Matlin ("Children of a Lesser God"). Tommy Lee Jones ("The Fugitive") has also participated in celebrity polo matches. One annual event at its Equidome is the "Legend's Cup," a three-on-three polo tournament. And before the event is the Celebrity Pre-Game match. In past years, this celebrity game has drawn such celebrity riders as actor William Devane ("Phenom"), singer Juice Newton ("Queen of Hearts"), and former-Monkee Mickey Dolenz. The match is usually held in late April or early May. Phone for the date and time of this year's event. Getting there: The Equestrian Center is located in the Valley, on the north side of Griffith Park (east of the movie studios and northwest of the Zoo), where Main Street meets Riverside Drive. / From Universal Studios, take Lankershim Boulevard north (half a mile) to Riverside Drive. Turn right on Riverside, and go east (about three and a half miles) to Main Street, then turn right (south) into the Equestrian Center.